You have added Beige Designer Lehenga With Cold Shoulder Collared Jacket Style Net Anarkali Kurti to your Shopping Bag! Be the ethnic Goddess in this beige designer lehenga with cold shoulder collared jacket style mid-length net anarkali kurti! 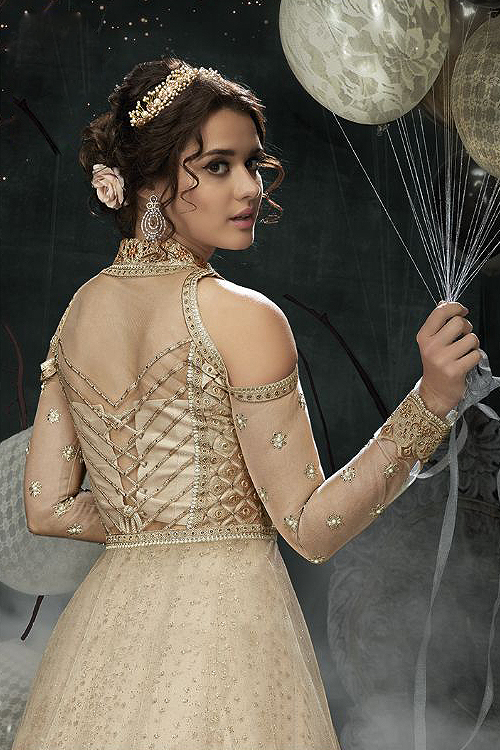 The beautiful jacket style front slit anarkali features frilled high low hem and embroidered bodice with stone work. 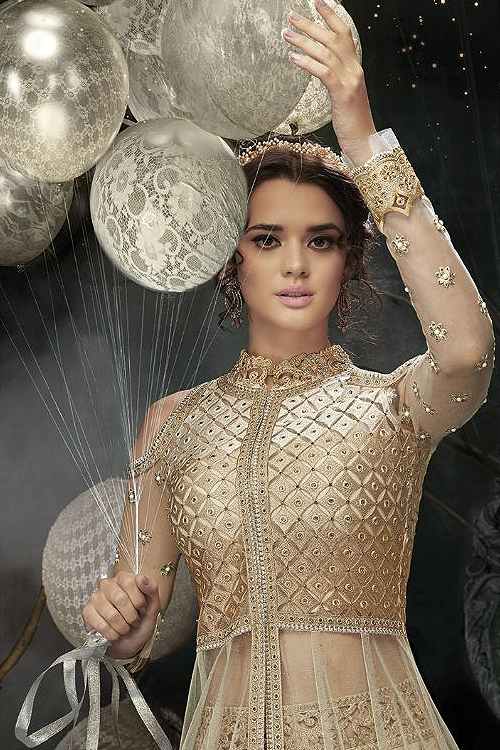 The floral embroidered net lehenga with zari, stones, pearls and sequins work features beautifully embroidered hem. The inner lining below the net features sequins work. It is teamed with matching net dupatta with floral butis, golden lace and frill border. To get ready for any occasion just accessorise your look with a head piece and a designer clutch with sling strap. Girl, you are all set!